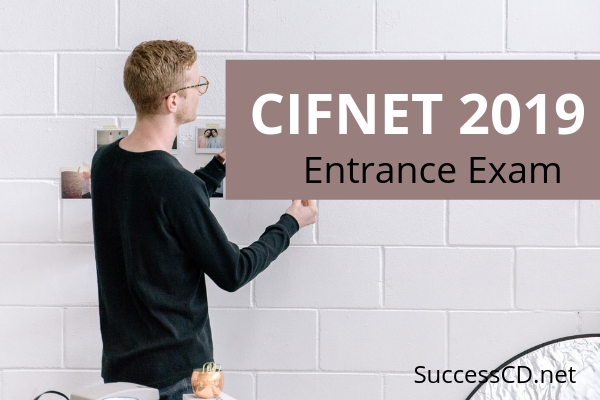 CIFNET Entrance Exam 2019 - Central Institute of Fisheries, Nautical and Engineering Training (CIFNET) has released the notification for Common Entrance Exam for academic year 2019-20. It is managed by the Department of Fisheries and Animal Husbandry of the Govt. of India. It offers Bachelor of Fisheries Science (BFSc) Program and Vessel Navigator Course (VNC) /Marine Fitter Course (MFC). Application Form and Prospectus can be obtained from the Director, CIFNET, Fine Arts Avenue, Kochi-16 on payment of Rs.500/- (Rs.250/- for SC/ST) by demand draft drawn in favour of Senior Administrative Officer, CIFNET payable at Ernakulam and a self-addressed and stamped (Rs.15/) envelope (A4 size) or by cash from CIFNET office. Application Form can be downloaded from the institute website www.cifnet.gov.in and applied along with demand draft. The Hard Copy (Print out) of the application generated by computer along with Demand Draft drawn in favour of "Senior Administrative Officer, CIFNET" payable at Ernakulam-16 towards Application Fee and necessary certificates (SSLC/ HSC/Community, if SC/ST) may be forwarded to "The Director, CIFNET, Fine Arts Avenue, Ernakulam-682016". Central Institute of Fisheries, Nautical & Engineering Training (CIFNET) will release the Admit Card before the examination. Kindly login to download hall ticket from candidate’s homepage using your registered username and password.